Big Tex Circle undergoes a makeover, too. 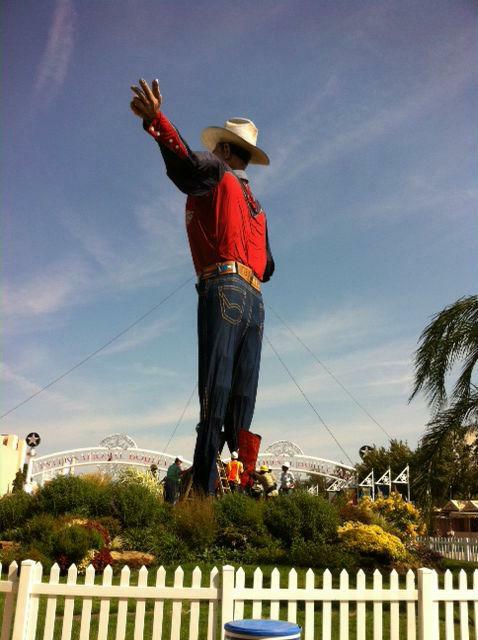 Big Tex is beginning to look like himself again after fire destroyed the State Fair icon last October. Fair officials have released a video preview of Big Tex’s head and hat taking shape. They say designers, engineers, animatronics experts and puppeteers are working hard to have Big Tex ready for his “big reveal” September 27th, opening day of the 2013 State Fair. But it’s not just Big Tex getting some 'work done’. 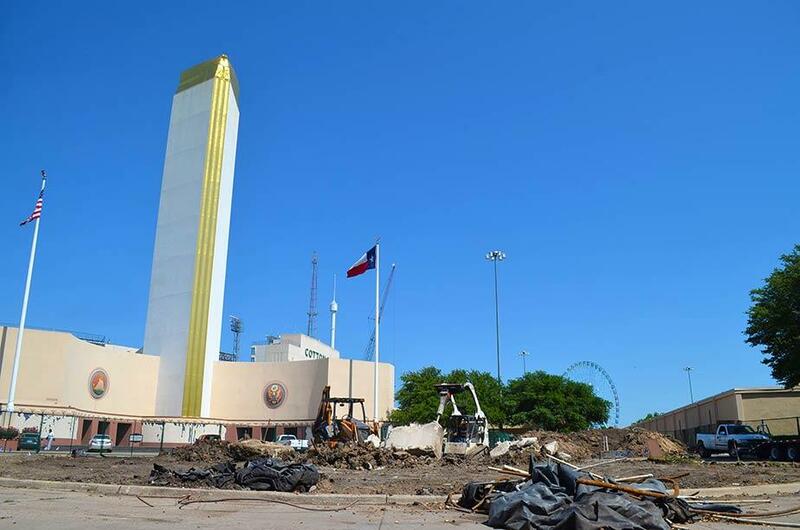 Crews at Fair Park in Dallas are reconstructing Big Tex Plaza where the new and improved, 52 feet tall Cowboy will stand. So far, fans have contributed more than $74,000 to the Big Tex rebuilding fund. The total cost is estimated at more than $500,000. The new and improved Big Tex will also have a different voice when he debuts at the State Fair in September.